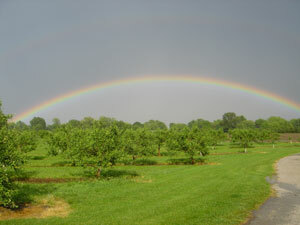 About the Farm - West Orchards Farm Market - Fresh cherries, strawberries, apples, pears, peaches, plums and more. West Orchards is located on Rt. 20 about a mile and a half after it splits from Rt. 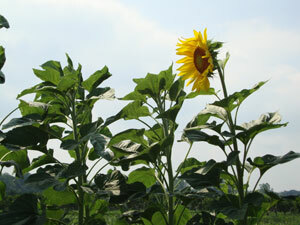 2, making it one of the closest farm markets to populous west Lake County communities. Just 30 minutes east of Cleveland. 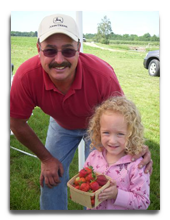 Growing and selling fresh produce has been a tradition in the West family for a very long time. The Wests have been farming this land since 1891. That was the year Richard West Sr.'s grandfather bought a small parcel of land on the south side of Rt. 20 in present- day Perry Township and started farming. "In those days there was no produce stand here. My father had a little wagon and he took his produce to Painesville & Fairport to sell" said Richard West Sr. 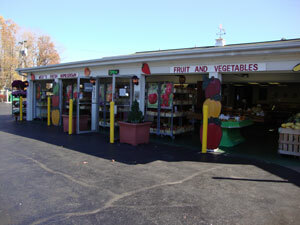 The farm market we have today was added in the '60's. The farm went on to be run by Richard Sr. & his wife Florence, who passed it on to their sons, Richard Jr. and Donald. Richard Jr. & Donald have retired, although Richard Jr., continues to enjoy his work around the farm where needed. The farm is now being run by the 5th generation, Todd & his wife Ame. Thank you & we look forward to seeing you soon, to swap some recipes and visit awhile! Todd & Ame's antique '39 John Deere L (left) & '38 John Deere B (right). 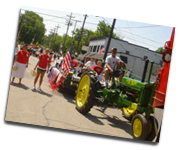 These tractors can often be seen at the market on the weekends & around town for various parades. We welcome you to help us STAY green with the purchase of a re-usable shopping bag (made from recycled materials) from our farm market. We also encourage you to bring back your re-usable bags. Todd & Haley pick some sweet berries!